Julian Gollop, of original X-COM/UFO fame, and his latest project Chaos Reborn have been chilling out in Early Access for about a year, absorbing feedback and outputting patches. Now that process is done with, the final version of the game has gone live today. There’s a reasonable update included along with it, plus a launch trailer all of its very own. Strategy fiend? Our picks for the best strategy games ever. Jeremy sat down with Gollop to talk about the game a few months back, if you’re unfamiliar. The 1.0 update includes two major additions. The first is tutorials and ‘special challenges’ for teaching new players and providing unique scenarios. Now that the mechanics are locked down out of Early Access, this sort of thing is vital for bringing in new players. The second is Realm Quests. This is a new system for letting players aid or hinder one another. Allies can be summoned by players to help take on particularly difficult enemies, or you can choose to be an Invader and take control of antagonistic factions in other player’s games. There’s also a bunch of new music added, and some smaller tweaks. I’m surprised by the price – just £12.74 / $16.99 / €16.99 – and was expecting it to be a bit higher. It is a multiplayer focused game, but there’s a complete campaign in there along with its sets of complicated systems. Based on impressions I’ve read, it seems like a good deal. 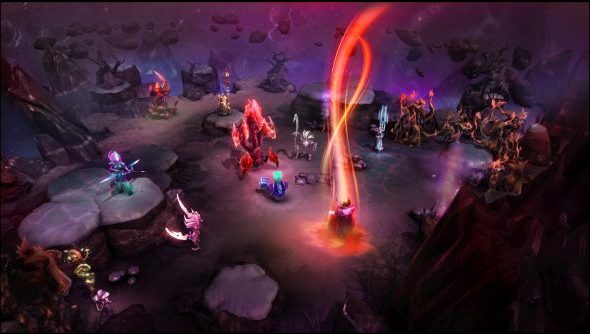 Jeremy certainly enjoyed it in his Chaos Reborn review, even in its earliest form. The dev team over at Snapshot Games are also promising support for at least the next few months and presumably more if the game proves to be popular. All progress has been reset, in part to support the new season system that will rate players based on monthly performance, with the first one running until November 30th. Who out there has been playing? A good pick up for the price of a particularly good pizza?